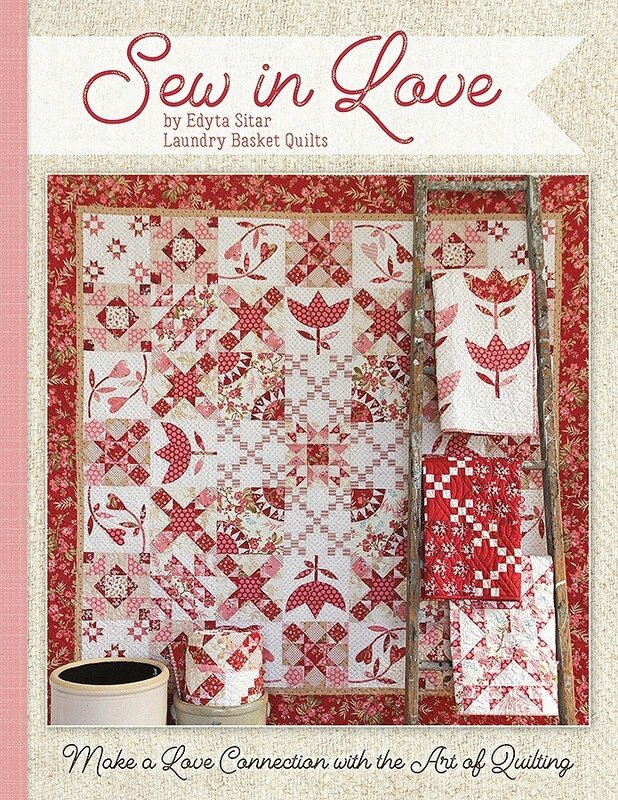 Edyta Sitar of Laundry Basket Quilts is thrilled to be able to share her love of quilting with fellow quilters by introducing her latest book with It’s Sew Emma. She has fashioned twelve sweetheart blocks into a breathtaking 75-1/2in x 75-1/2in block-of-the-month sampler quilt (choose from a pieced or applique version), as well as a whole candy box of tantalizing quilts to take each block further! Sew in Love will become your new obsession as Edyta encourages you to let loose, play and experiment with her Sweethearts. Every time you select a new blend of colors and prints or delve into a new technique, fall a little bit deeper in love with each stitch. Her love for quilting knows no bounds and she cannot wait to see where your affair with Sew in Love will take you!